Round 1: 18" x 24"
Round 6: 8" making the finished quilts approximately 64" x 70". 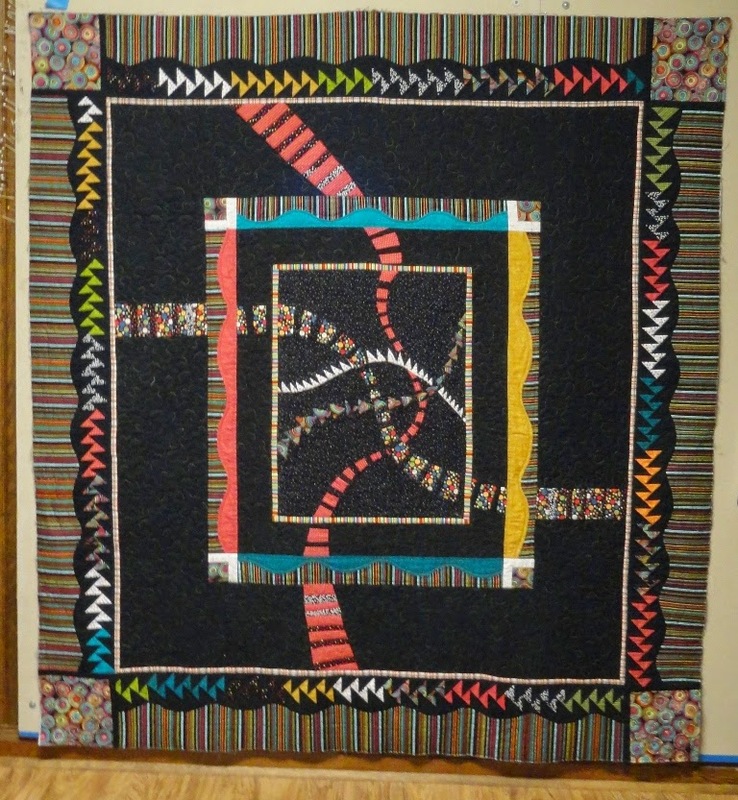 Dianne's and the 12 finished quilts are shown under Guild Activities/Round Robin Challenge tab on the guild's website. 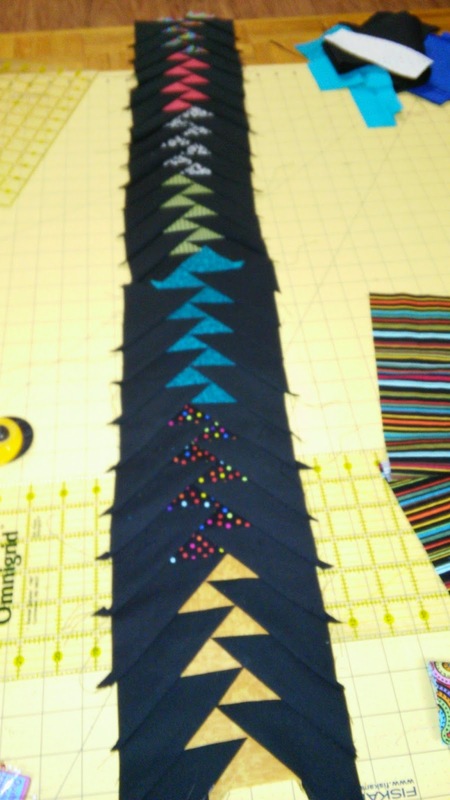 The fabrics and instructions are listed after the quilt pictures. 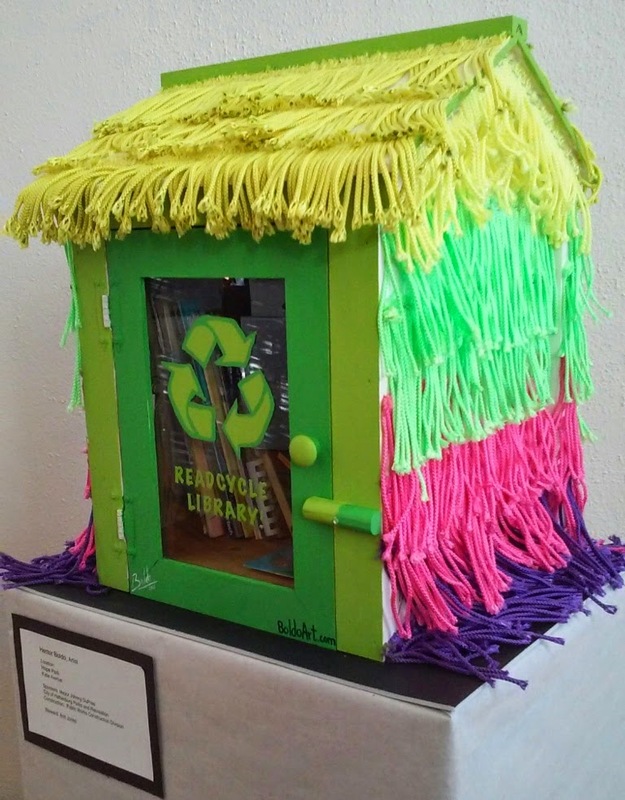 Susie Jackson, Ellen Cox, and Debbie Davis won 1st, 2nd, and 3rd viewers' choice awards. 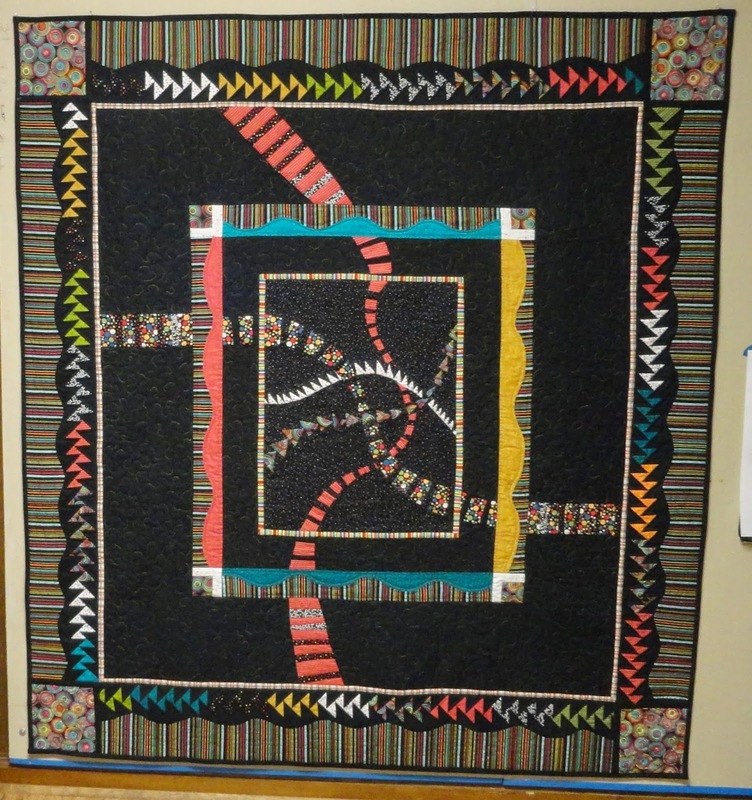 All 13 quilts were amazingly creative and different. The participants agreed that designing these pieces really caused them to stretch and grow. 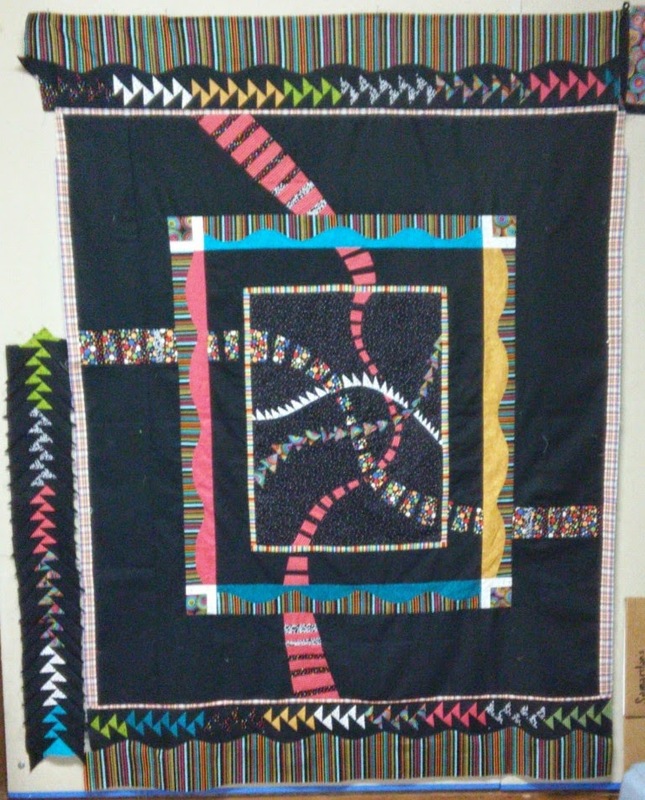 Here is my quilt pictured after quilting; next is with the black binding. I had lots of help at every stage. 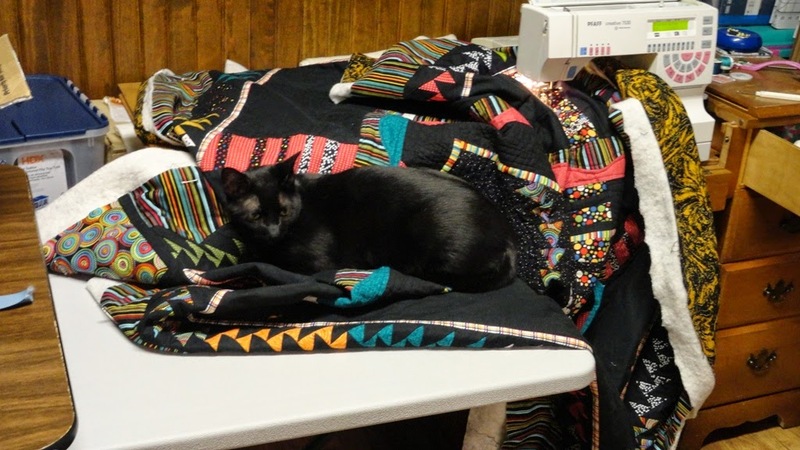 If Tarbaby wasn't in my lap, he was on the quilt. 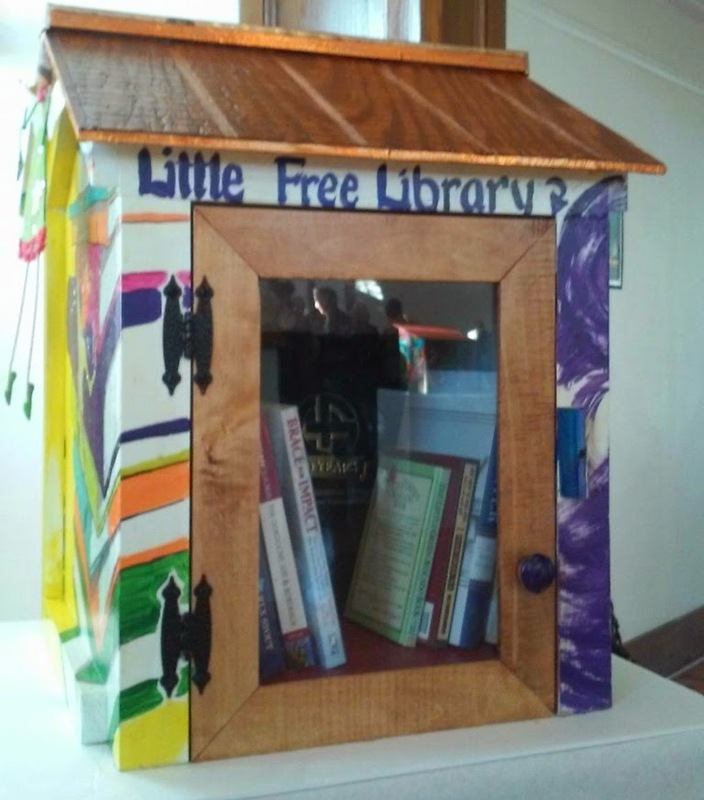 I had a wonderful afternoon attending two events, the first one an exhibit of Little Free Libraries at the Hattiesburg Cultural Center. 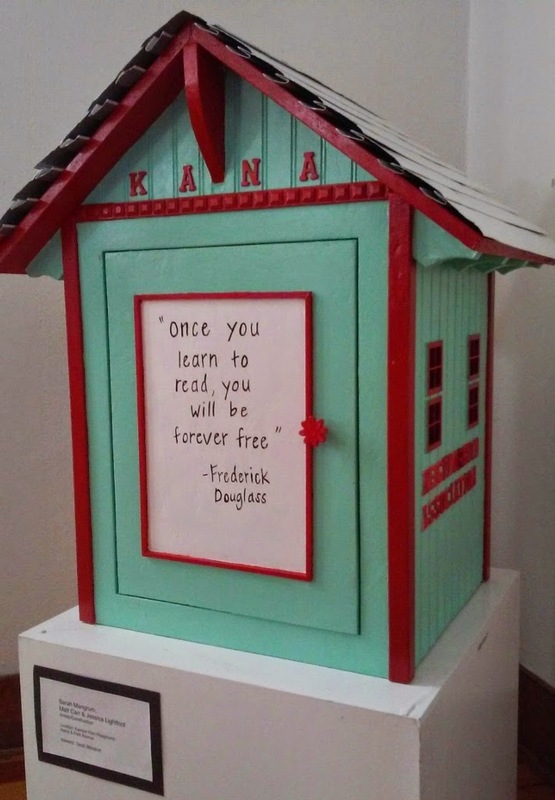 These have been designed, constructed and painted by residents and will be placed in various locations about the city. The variety of types was amazing. Here are only four of the dozens on display. 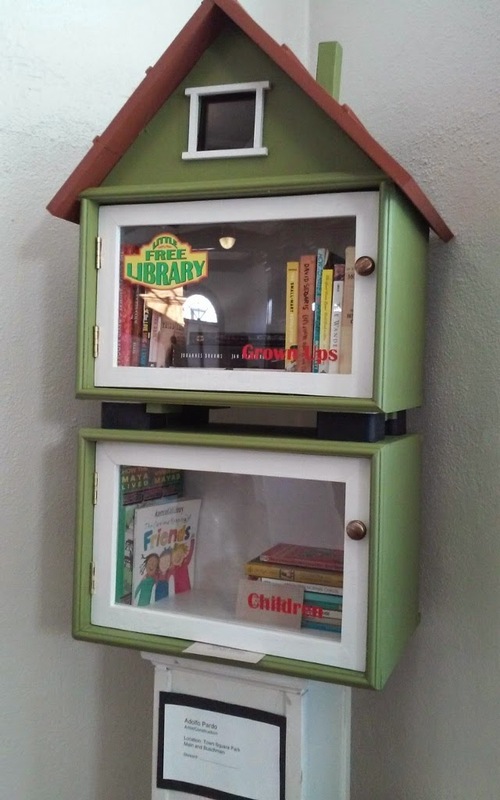 The little houses were displayed on pedestals with information about the builder, painter, and where the house would be placed. 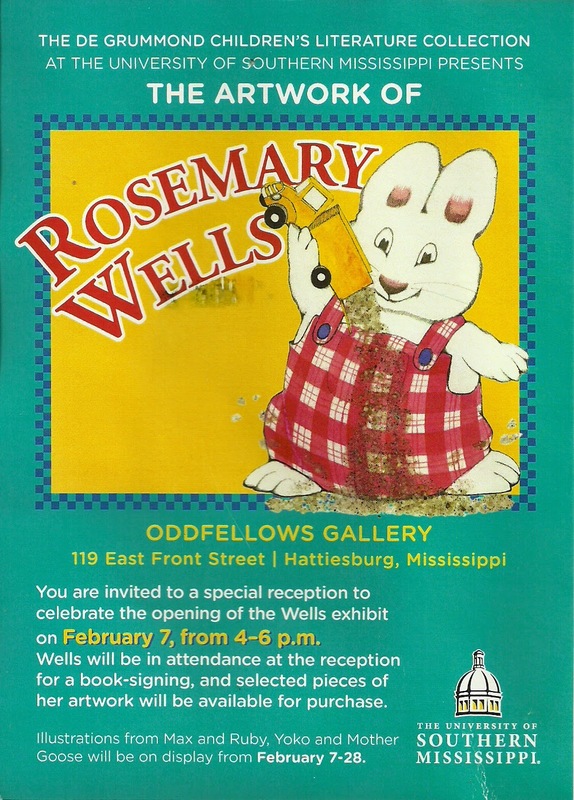 The second event was an exhibit, video, and talk by Rosemary Wells, a children's author and illustrator whose work has spanned more than 40 years and 120 books. In 2002 she received the USM Medallion, an award for distinguished service in the field of children's literature, awarded for her total body of work, rather than for one particular work.